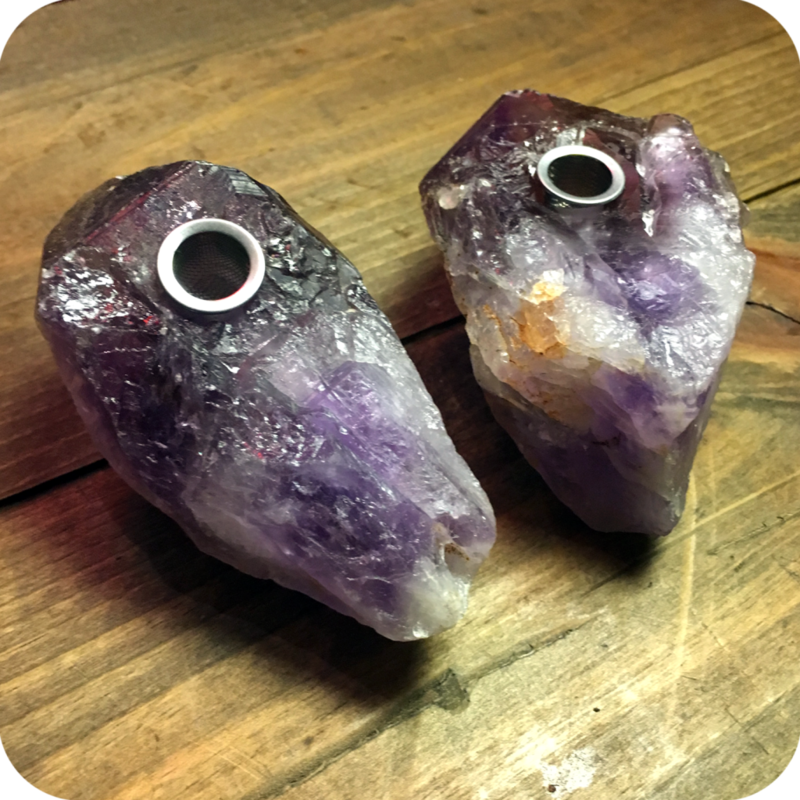 The Amethyst Crystal Pipe is an all-natural, organic tasting, and spiritual alternative to your typical metal or glass pipes. 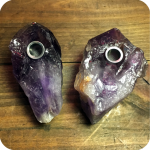 This Amethyst Crystal Pipe is carved out of a large chunk of Amethyst crystal, and maintains all the organic texture of a natural rock. 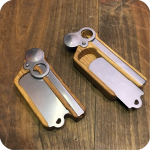 An easily removable metal screen provides filtration for the smoke. 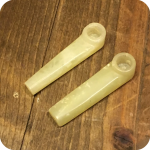 Simply light the bowl and inhale through the carved mouth piece (since these pipes don’t feature carbs) for a cool and smooth hit every time. Crystal lovers have promoted Amethyst for its vast healing properties. Amethyst is a meditative and calming crystal. It promotes balance and peace in the emotional, spiritual and physical planes of existence. 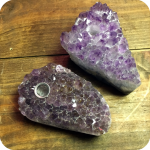 Pragmatically, use amethyst to help with legal troubles and money issues. 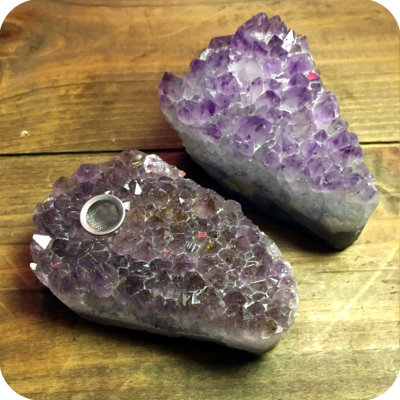 Spiritually and physically, amethyst promotes sobriety and gives protection to the user. Additionally, amethyst protects travelers, shields the user from thieves, and prevents psychic attacks. It’s excellent when used in meditation, lucid dreaming, telepathy, clairvoyance, etc. Since millennia ago, amethyst is used to promote sobriety, especially from alcohol. Since ancient Rome, amethyst is used to prevent over indulgence, either worn as a ring or or by the navel. 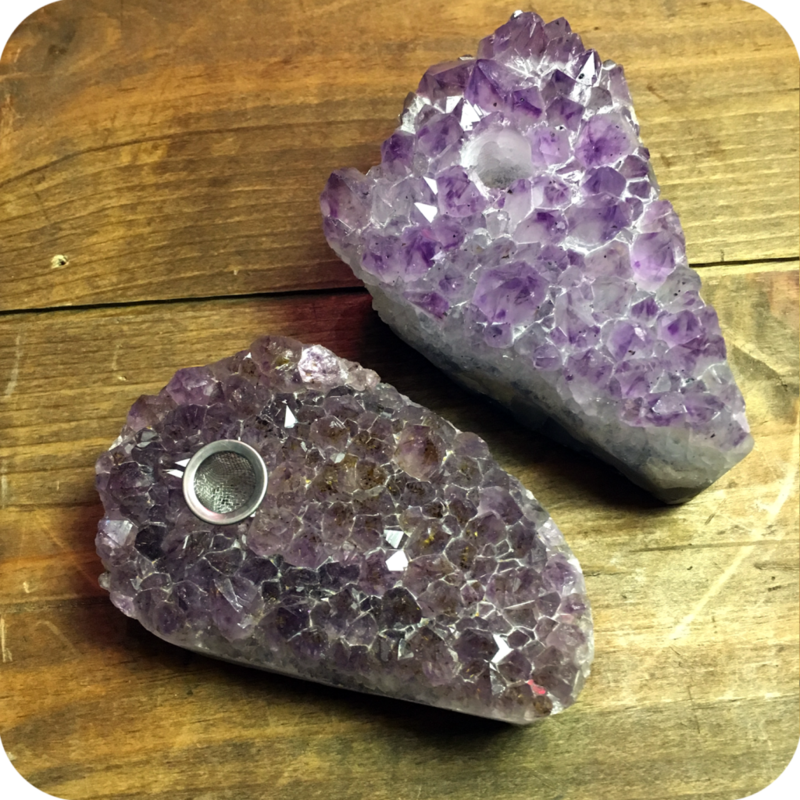 A talisman of focus and success, amethyst restores one back to their etheric blueprint in order to realign with the divine source. If you’re interested in crystal pipes (amethyst or otherwise!) check out our extensive online collection, or swing by one of our three Brooklyn locations to see for yourself! We’re located at 12 Wilson Ave in Bushwick, 518 Grand Street in Williamsburg, and 377 Metropolitan also in Williamsburg.